Babbling Brooke: Evil Shades Joins in the Giveaway Fun!!! I am so excited to announce that Evil Shades Cosmetics is offering a small giftset of the winner's choice in our upcoming giveaway (which begins tomorrow!!). Evil Shades is owned by my friend Andrea. Aside from makeup designer, Andrea is also a polish & makeup blogger; she shares all kinds of gorgeous shades at Black Nail Polish and Lip Gloss. 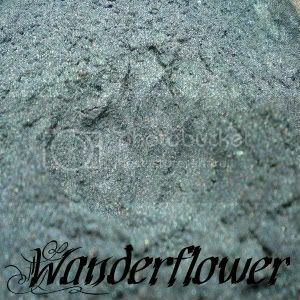 Andrea has been crafting mineral makeup for the past three years. 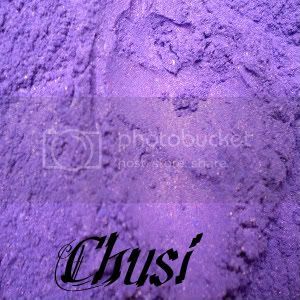 What began as a desire to create natural makeup in fun, unique colors for herself and her friends quickly became more than a hobby. Evil Shades Cosmetics now offers lipsticks, a wide range of mineral eye shadows, loose blush, and Wicked Lipgloss. Evil Shades Cosmetics are NEVER tested on animals and many are vegan (Andrea marks which ones are not vegan on her website; everything else is). The grand prize winner of Babbling Brooke's 2nd Birthday Blogaversary will win a small giftset of their choice from Evil Shades Cosmetics!! Thanks for joining our celebration, Evil Shades & Andrea!! Here are some reviews to help with color selection! 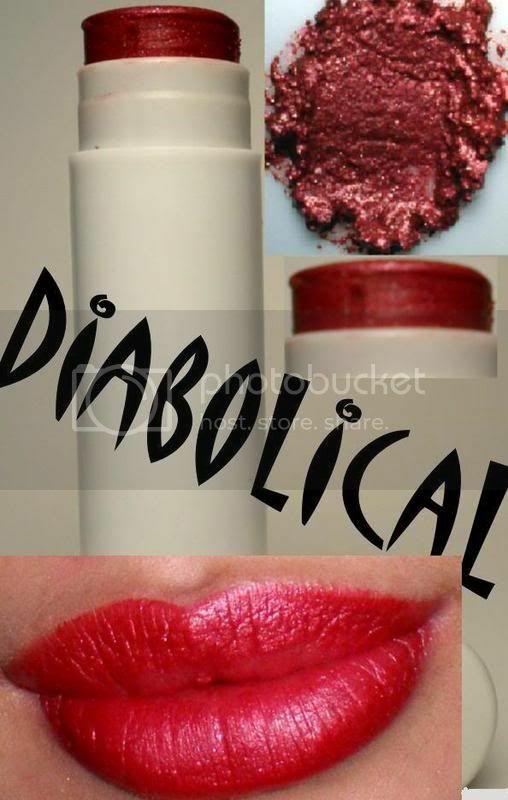 Vampy Varnish just wrote an awesome review of Evil Shades Cosmetics new Deviant line. You can read that HERE. There are some really nice color swatches and a great review at Kronicles of a Konad-er. You can see that HERE. Fashioned in Finland created some stunning eye makeup looks with Evil Shades. Check that out HERE. 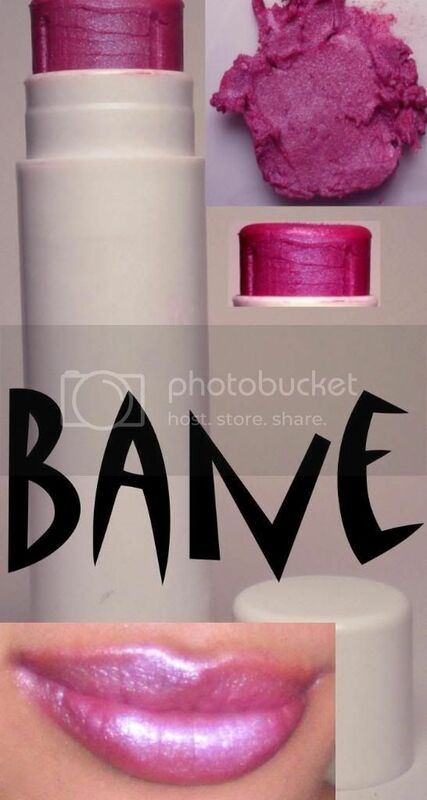 Toxic Lipstick has a nice review of the various eye shadows and lipglosses that Evil Shades offers. That can be read HERE. WANT!! I don't have any Evil Shades - yet - but that will change soon, one way or another!